The fifth grade students from Lingle/Ft. 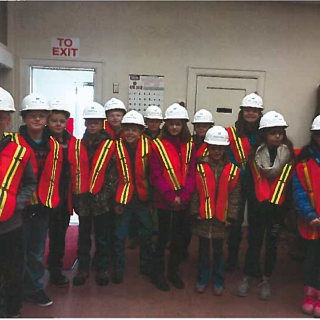 Laramie School visited the Torrington facility on April 6th. The students and faculty enjoyed learning about the process of making and packaging sugar at Western Sugar. They also learned about the importance of safety in the workplace. The students sent their thank you to Laura Schamel and Amanda Mitchell for presenting information about Western Sugar. Western Sugar would also like to thank Brenda Rusher for preparing goodie bags for the students.